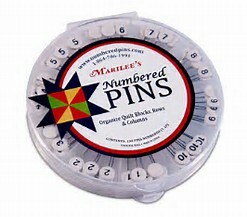 Marilee’s Numbered Pins are the perfect solution for organising quilt blocks, rows and columns when order is important to the design of the quilt. 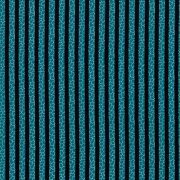 These high quality, flat head pins are used to keep your project organised without disturbing your layout. 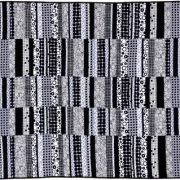 Marilee’s Numbered Pins are the perfect solution for organising quilt blocks, rows and columns when order is important to the design of the quilt. These high quality, flat head pins are used to keep your project organised without disturbing your layout. 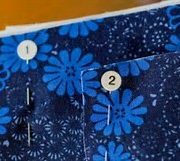 Simply pin a Numbered Pin in the upper left hand corner of a block, row or column to keep track of specific pieces as you rotate or shift your fabrics. 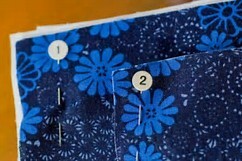 Each package contains many pins for each number (1 – 20), and you can also customize the back on the pin with a permanent marker to add more numbers or letters.